Leading off today: Deposit ace Makenzie Stiles pitched the 12th perfect game of her high school softball career Tuesday, striking out 17 batters in six innings during a 15-0 victory over Delhi. The lone ball put in play in Stiles' 19th no-hitter was a come-backer to the mound. Stiles, who signed a letter of intent last fall with the University of Pittsburgh, also went 3-for-3 at the plate to drive in four runs. Alaina Smith went 2-for-4 with three RBIs as Deposit scored six runs in the third and seven more in the fifth to take command. 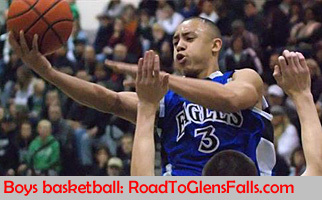 Stiles, a sixth-year varsity player, has helped Deposit to a trio of NYSPHSAA Class D championships. "She gives us all a lot of confidence. Even an off night for her is pretty darn good," Deposit coach Dan Briggs said. "You can't expect a perfect game but you can expect her to keep us in every game." Key early victory: Two-time defending NYSPHSAA Class A champion Ward Melville improved to 7-0 for the season with a 6-2 boys lacrosse victory at previously unbeaten West Islip. Bobby Kratochvil, Jack Gillen, Brandon Aviles and Steven Germain scored as Ward Melville broke to a 4-0 advantage with 9:21 left in the second quarter. Leading scorer Dylan Pallonetti wrapped it up with goals 1:22 apart midway through the fourth quarter. "Our biggest competition is ourselves," Ward Melville coach Jay Negus said. "The Suffolk I division is so deep and talented. Every game can be tough. But we need to focus on us and what we are capable of doing. We haven't played our best lacrosse yet. We saw a glimpse of it today." More boys lacrosse: Brock Schneider scored the winning goal with just "03 left in regulation to lift Hamburg past Niagara-Wheatfield 15-14. Schneider finished with three goals and five assists for the seven-time defending Section 6 Class B champions. Spencer Nyhart led the Bulldogs with five goals. Hamburg extending a one-goal halftime lead to 12-7 after three quarters before N-W rallied to tie with about three minutes to go. • Junior attackman Hogan Fox became Glens Falls' all-time points leader during a 13-7 loss to Schuylerville. The Albany commit produced two goals and three assists to reach 215 career points early in his fourth varsity season. Connor McGuirk had 214 when he completed his career in 2015. Schuylerville senior midfielder Justin Carte had four goals and two assists to lead the Black Horses to the win. A question for you: Shaker AD Matt Stein had an interesting question for me last week and I'm at a loss as to what the answer might be. Does anyone out there know of any individuals who have been the varsity coaches of three sports a year for 30 or more consecutive years? which adds up to 126 straight sports seasons on the job. Sec. 5 wrestling coach dies: Lou Lombardo, who coached wrestling in several Monroe County school districts and was influential in the sport across the region, died Monday at the age of 61. Lombardo coached at Irondequoit, Greece Olym- pia and Webster Thomas and assisted frequently at tournaments and clinics in between running offseason club workouts. "As long as someone needed him, it didn't matter if he was tired, whether things were going on at work or wherever," his son Phil Lombardo said. "He always made the time." Added Penfield coach John Leone: "He found a way to pull 28 hours out of a 24-hour day. It's hard to do. Day after day, he would do it. Ohio looking at football replay: The Ohio High School Athletic Association has started examining the possibility of using video replay reviews in the state football finals. The National Federation of State High School Associations gave approval in February for state associations to create instant replay procedures for state football playoff games. The OHSAA's director of officiating and sport management is consulting with Big Ten replay officials and an NFL official regarding how replay might work in high school contests. Alabama, New Jersey and Minnesota used varying degrees of replay capability last season, and the issue has been under active discussion in Georgia.